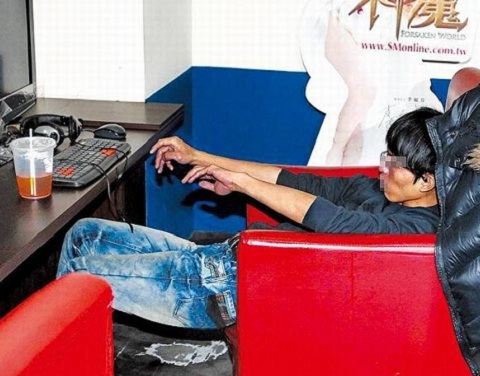 A Taiwanese man died after playing League of Legends for 23 hours. During a weekend where Riot offered League of Legends players in Taiwan, 400% more IP a tragic death occurred in an internet cafe. 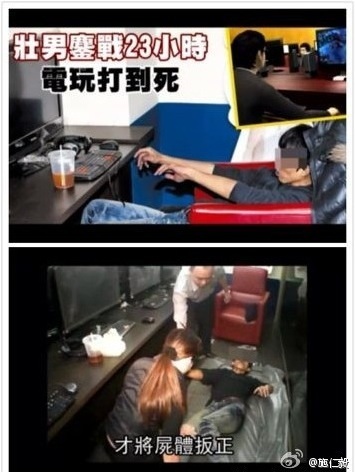 The deceased man is a 23-year-old Taiwanese who had played LoL in 23 hours on the internet cafe. The man had been under family heart trouble in the past and police said it was probably exhaustion, cold weather and that the man was sitting still so long that caused a heart attack. None of the other visitors noticed that the man had died when he had left his hands on the keyboard and mouse after the sudden death occurred. It was one of those who worked in the internet cafe who discovered that the man was dead when she tried to wake him. Previous: In the near future we wont have to check which earbud is left and right. Next: Weather forcasting cube lets you "feel" tommorrows weather! for patients which are hidden from public view. Power – Point presentations or are powerpoint platforms. Besides being due to the opportunity to produce a difference in peoples’ lives, work in the healthcare industry can offer excellent health advantages and flexible hours. realoly peaked my interest. I will take a notre of your blog and keep checking for new details about once a week. I opted iin ffor your Feed as well. You probably require a refresher for the useful tips every online company owner should be familiar with. You can run your online business perfectly if you become cordial towards the customers. You can run your home based business perfectly in the event you become cordial on the customers. In the same sense, companies would be wise to offer their workers something to unite under. In the same sense, business owners would be wise to present their workers something to unite under. of terms including bid increments, quantity of auction rounds and expense reimbursement for that stalking horse. horse. ll have the practical guidance you’ll need on how to take up a concierge business”. survival, without customers a business would cease to exist. here to tell you, Ameriplan is just not a scam. What is wrong with asians o.O, died playing game…WTF, can’t stop laughung either. Really the worst part is that he was dead for 10 hours just sitting there while other people around him was playing. The people even asked the police or whatever that came to the scene to allow them to continue playing while they took care of the body. WTF……Taiwan gets 400% more ip!?! ?